The Management Committee of Stoolball England met at 53 Kings Road, Horsham, on Monday, 8 December 2008 at 7.45 p.m. Topics discussed include recognition as a governing body, the rules review, coaching development and Stoolball England branding. Stoolball England held its 29th Annual General Meeting in the Renshaw Room at Wivelsfield Village Hall on Sunday 16 November at 11am. Topics discussed included the Chairman’s report on developments during 2008, the handover of the treasurer’s role from Peter Cheesman to Trevor Parsons, and the rules review. On Sunday 14 September, a beautiful sunny morning, the East Grinstead District organised a stoolball tournament for the cub scouts. For many of the cubs, leaders and parents, this was the first time they had encountered stoolball, hence the day started with a quick run down on the very basics. As play got going the rules began to fall into place and the teams seemed to get into the game. The three teams all played each other and there were some excellent catches, great batting, even a few fours, along with some very good bowling. By the end of the matches even the inexperienced umpires seemed to have grasped the rules (well, the easy ones). The last game was between two closely matched sides and was exciting and action-packed with a very close score. All in all everyone had fun, many said they would like to play again and the District Commissioner asked if we could borrow the equipment again for the adult support team to have a go! Without the help of Stoolball England, we wouldn’t have had this experience, so we would like to thank them for the loan of equipment. If our feedback is as positive as it seemed on the day, we will very likely be back next year to do it all again. Having already won the Sussex County League Championship earlier this month and their own West Division League title, Angmering rounded off their season with another very competent performance when recording their sixth win overall, and their fifth in the last six years in the Sussex County Knockout Cup Final, which was played at Ford’s Green, Nutley on Sunday 28 September 2008. They won the toss and batted first in the welcome autumn sunshine at Nutley on Sunday. In a half century opening partnership with Karen Harman (28), Angmering’s captain Melissa Mantle confidently set out to build a sound base for what was to prove a very commanding final score of 292 from their 30 overs. The Management Committee of Stoolball England met at 53 Kings Road, Horsham, on Friday 24 October 2008 at 7.45pm. Topics discussed included a new coaching scheme, the rules review, and ongoing efforts to achieve recognition of Stoolball England as the governing body for stoolball. Back in September Surrey played two matches against the West Division of the Sussex County Stoolball Association at Stedham. Sussex won both the under-21 and the main ladies match, along with the Greater London Council’s Senior Schools Trophy. The Stoolball England newsletter for 2008 is now available. It includes results from leagues and tournaments across the south-east, along with details of equipment prices and future plans for development of the game by Stoolball England. Looking at the name Stoolball England (SE) above probably summarises the last 12 months. It has been a year of change and not a little progress towards becoming better organised and better recognised by the sporting world at large. For some that may seem irrelevant, but for those who want to see stoolball continue as a worthwhile and genuine part of the community, it is essential that we can stand with our heads held high alongside other sports and sporting governing bodies. 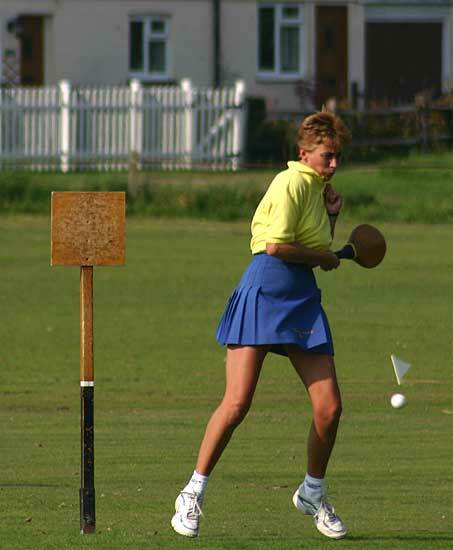 Stoolball England (previously the National Stoolball Association) will hold its 29th Annual General Meeting in the Renshaw Room at Wivelsfield Village Hall, near Haywards Heath, West Sussex, on Sunday 16 November 2008 at 11am. Please notify all your league or association members of this date. All leagues, associations and clubs are welcome to attend this meeting, but only an affiliated body is entitled to vote. Refreshments will be available from 10.30am for everyone and we look forward to welcoming you to what I hope will be an informative as well as social occasion. Please make every effort to come to the AGM. However, if for any reason you are not able to attend and cannot send a deputy, contact Kay Price on 01403 252419 or at kay@… before the meeting. It is important for the well-being of the game that those of you who are involved in the organisation and structure of stoolball attend this meeting to express your views. Stoolball England held a General Committee Meeting in the Renshaw Room at Wivelsfield Village Hall on Sunday 28 September 2008 at 11am. Topics discussed included Stoolball England’s activities during the year, the need for a marketing officer, and funding opportunities for leagues, associations and clubs.